Abu Dhabi, SANA- Syria’s national team has raised the number of medals it won at the competitions of the second day of the 1st Special Olympics World Games held in the Emirati capital of Abu Dhabi to 25 gold, 30 silver and 14 bronze medals. 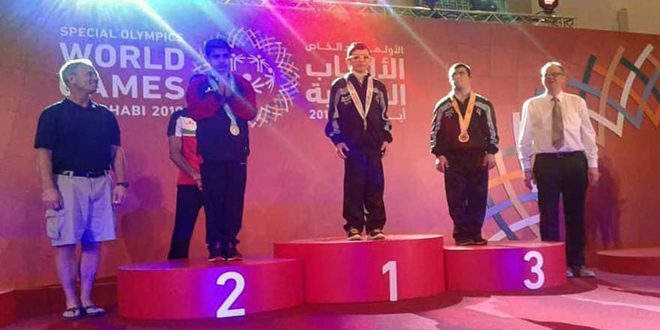 In gymnastics, Batoul Khalaf won 3 gold medals, Batoul Salameh won 1 gold, Heba al-Daghestani won 1 gold, 1 silver, and 1 bronze, and Jana al-Farhan won 1 gold, 1 silver, and 1 bronze. 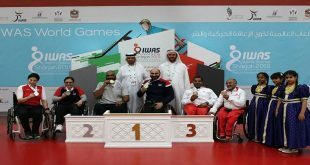 In weightlifting, Laith Daqdouq won 4 silver, and Najma al-Amouri won 1 gold and 1 silver. 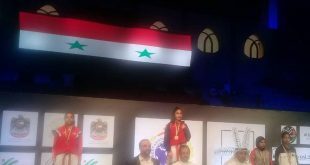 In rollerskating, Abdulrahman al-Khayyat and Aya Ismail won 1 gold medal each, and in table tennis Yamama al-Haza’a won 1 gold and Rahaf Sleiman won 1 silver in the singles category. In cycling Ahmad Ashour won 1 gold medal, Nour Akoul won 1 silver, and Aya Burghul won 1 silver. 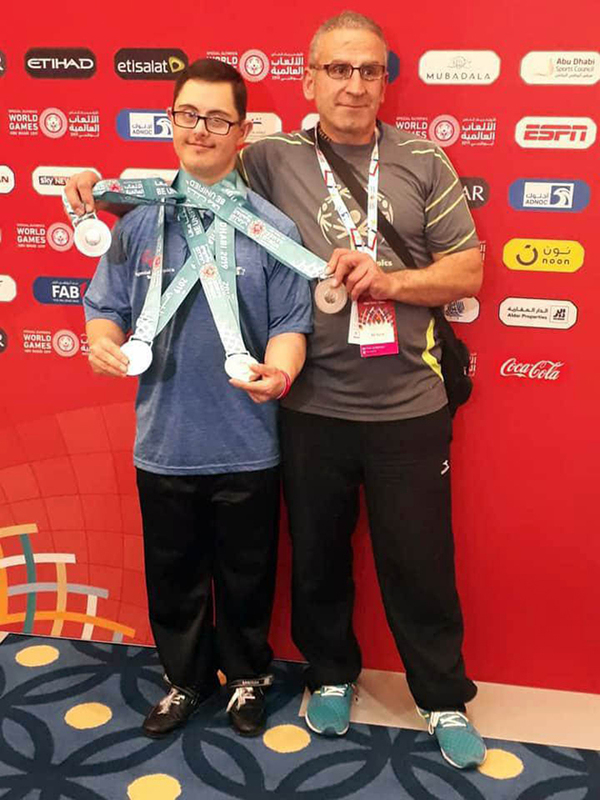 Earlier, Abdulrahman al-Khayyat won 1 bronze medal in rollerskating, and Asma Nasser Eddin won 1 gold and 3 silver in weightlifting, while Abdulrahman al-Halabi won 3 silver medals in various competitions. 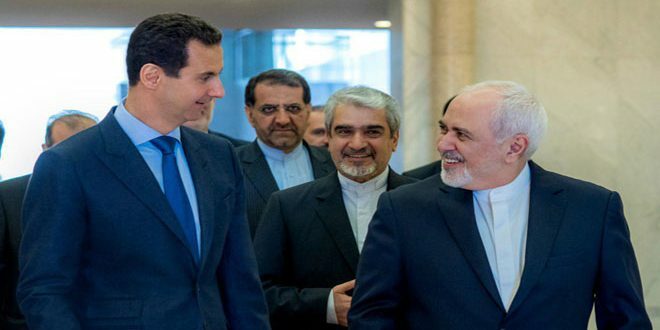 The Syrian football team also beat the Iranian team 5-0, and it will play another match with the Kazakh team. 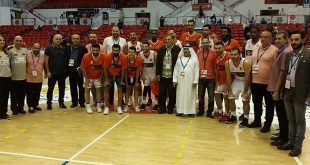 The Syrian team had won a gold medal and 8 silver medals in the competitions of the first day of the Special Olympics World Games.